Taste test: These tortilla chips were similar to Doritos, with the same triangular shape, but smaller. 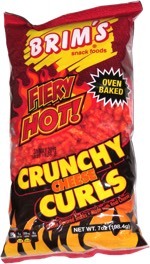 They were very crisp, crunchy and quite tasty. The flavor reminded me of Cooler Ranch Doritos a little, but there was also some extra cheese taste mixed in. 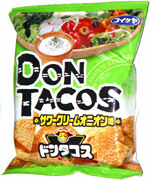 The taste was about as strong as Doritos, despite having far less visible flavor powder. Very good stuff! Smell test: Strong cheesy smell. Trivia: This bag was on the closeout shelf, with the price reduced from $1.80 to $1.60, because it was past the expiration date by almost three months.